It’s been a while since we’ve heard from Experimental Gamer about the upcoming Boot Hill Heroes. Along with revealing some new promotional art for the game, they’ve announced that they’ll be bringing a playable demo of Boot Hill Heroes to PAX East. If you go to booth #127, you’ll get the chance to play the game and win some free prizes, including a copy of the game and a poster of the image seen here. 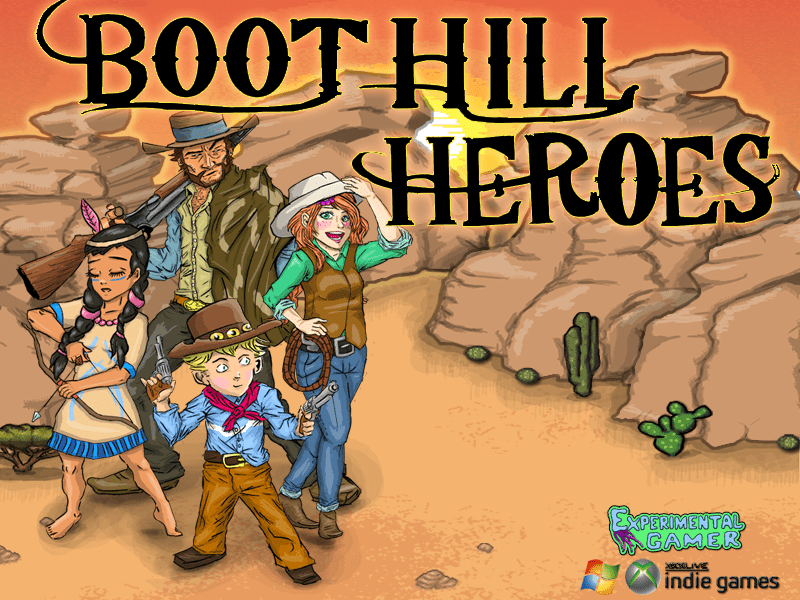 You can also pre-order a copy of Boot Hill Heroes for yourself. The game will be available for $5 at launch, but pre-ordering the game will only cost you $4. In addition, if you still want to support Experimental Gamer, you can request them to put a character of your own design in the game. Doing so will set you back about $50, but you can have your character be an NPC in the game with their own appearance, name, and line of dialogue. Finally, here’s a trailer Experimental Gamer put together just in time for PAX. For more info about Boot Hill Heroes, check out their blog here.